tunisia Archives - Africa M.E. Activist and avid blogger, Lina Ben Mhenni is no stranger to both accolades and threats. Through her blog A Tunisian Girl, which is written in Arabic, French and English, Ben Mhenni has reported on the overthrow of the Tunisian government, behind the scenes of the Tunisian revolution and the continued threat of corruption in her country. As one of the only sources of uncensored information during Tunisia’s Jasmine Revolution, Ben Mhenni has been awarded the Deutsche Wells International Blog Award, the El Mundo’s International Journalism Prize and received a nomination for the Nobel Peace Prize in 2011. Born in 1983, Ben Mhenni was exposed to political activism from an early age. Her father, Sadok Ben Mhenni was a left-wing militant, who opposed the regime of former President Bourguiba, and was detained and tortured in prison. Her brother helped establish the Tunisian office of Amnesty International and she grew up hearing her family discussing politics, reading books and watching the news. She started writing a blog in 2007 and later launched A Tunisian Girl to cover issues surrounding freedom of expression, human rights and social problems facing women and students in Tunisia. From 2008 to 2009 she studied in the United States and taught Arabic at Tufts University in Massachusetts. Upon her return she took a position as a teaching assistant in Linguistics at the University of Tunisia. 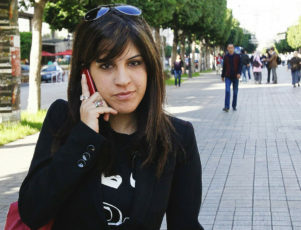 In May 2010, Ben Mhenni and her friends organized a protest against the government’s censorship of the media via the internet, and by the time the protests against Ben Ali started in December, her blog had become an important source of information for both Tunisians and the international media. For many years Ben Ali had lead an oppressive regime in Tunisia, prohibiting any opposition and abusing human rights. Opponents to his regime were tortured and killed and journalists intimidated and silenced. During the protests, Ben Mhenni visited Sidi Bouzid and Kasserine and was one of the first to report on the atrocities committed there by Ben Ali’s security forces. She published video footage and photographs of police injuring and killing protestors and revealed the victim’s identities online. She also visited victims in hospitals and interviewed their families, publishing everything to her now infamous blog. Never hiding her name, Ben Mhenni put herself at risk to show the world the determination of the Tunisian people to overthrow Ben Ali. Following the revolution, Ben Mhenni was involved in the interim government’s reforms to media and information laws, but resigned shortly after. However, she continued to track the progress of press freedom and human rights in Tunisia, and attempted to boycott the Constituent Assembly elections due to the fear the leading party, Al-Nahda would buy votes and not be moderate. In 2011 she published a book ‘Get Connected’ and won the Duetsche Welles Best Blog award and was nominated for the Nobel Prize. Ben Mhenni continues to observe and critique the development of human rights in Tunisia, but says the country still has a long way to go. A new constitution has been written and organized elections have been transparent and democratic, but the regressions are still alarming says Ben Mhenni. Children are still being forced to drop out of school to work, women are dying during child birth due to lack of equipment in hospitals, and people still do not have enough electricity of running water in Tunisia. Ben Mhenni says Tunisia still lacks honest politicians and people who see being a citizen implies rights, but also duties. Although Ben Mhenni maintains she has never been an activist, she says people today think they can change the world by clicking the ‘Like’ button. “It is not enough to publish a status, or a video, or share a Hashtag,” she told Huffington Post. “You have to work in the field, meet people, and be present during the demonstrations.” Ben Mhenni continues to act on her words, she and her father have started an initiative to create libraries in prisons to promote culture and thwart terrorism, and she aims to teach the importance of organ donation after receiving a kidney transplant from her mother. TUNIS (Reuters) – Tunisia’s central bank has kept its key interest rate unchanged at 4.25 percent, an official in the bank said on Tuesday. The bank last cut its main interest rate in October from 4.75 percent, in a bid to boost economic growth as inflation fell. Tunisia reports slowed growth as international companies show concern about the difficulty of extracting oil and phosphates as well as high taxes. 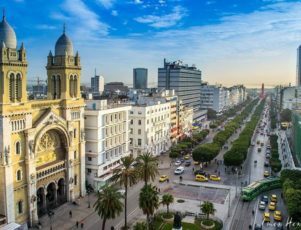 Growth of foreign investment in Tunisia has slowed amid concerns about a lack of government incentives and the difficulty of extracting the North African nation’s oil and phosphates. Direct foreign investment in Tunisian industry amounted to $81 million in the first four months of 2016, an increase of less than 5% over the same period in 2015. A year earlier, direct foreign investment had doubled as the country adopted its first constitution and formed a government in the aftermath of Arab Spring. Tunisia lacks appeal to investors for a number of reasons, according to experts. 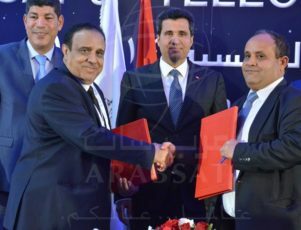 “Insecurity, high taxation and the difficulty of extraction of potential reserves are the main obstacles that prevent Tunisia from being attractive to foreign investors,” said Radhi Meddeb, chief executive officer of the engineering company Comete. Only 15% of oil company executives believe Tunisian tax policy encourages investment, according to Global Petroleum Survey 2015. Under the nation’s tax policy, the state gets 80%of the revenue on the sale of oil while the operating companies receive only 20%, even though they bear all of the costs with no help from the government. Tunisia also has more limited reserves than other sources of oil and phosphates. The Global Petroleum survey estimated the country’s oil reserves amount to the equivalent of about 850 million barrels, compared to nearly 24 billion in Texas. Reserves of phosphates amount to 100 million tons, 20 times less than in Algeria. While relatively stable compared to other nations that were part of Arab Spring, Tunisia is not immune to political and economic upheaval. For example, Gafsa Phosphate posted nearly $10 million in losses in 2014 amid recurring strikes by transport workers. While 50 foreign companies were operating in the extraction industry in 2010, when the Arab Spring began, fewer than half that many operate in Tunisia today. Nationally, phosphate production has dropped by nearly 60%, from 8.5 million tons in 2010 to 3.5 million tons. Oil production has fallen by half, from about 90,000 barrels a day in 2009 to 45,000 this year, according to Trading Economics. On the plus side, Tunisia has announced it will join the Initiative for Transparency in the Extractive Industries, a global standard that promotes accountability and fights corruption in the use of revenues from extracted resources. Tunisia first applied to join the initiative in 2012, but political instability prevented its membership, according to Kais Mejri, head of governance at the Ministry of Industry. Tunisia believes that the initiative will make the nation more attractive to foreign investors compared to rivals who are not part of the initiative. “We hope to return next year to the same (foreign investment) rates as before 2011,” said Ridha Bouzaouada, Tunisia’s Director General for Industry. Tunisia is not alone in its economic challenges. More than five years of turmoil across the region has created a negative economic outlook, according to Hamdi Tabbaa, president of the Arab Businessmen Association. Tabbaa estimated regional economies have lost about $1.2 billion in the past five years as Syria, Iraq, Yemen, Libya, Egypt, Lebanon and Tunisia saw an average decrease of 35% in their gross domestic product. Direct foreign investment in the region was also dropping. It declined from $48 billion in 2014 to $44 billion last year, well under half of the record high of $96 billion in 2008, according to the Arab Investment and Export Credit Guarantee Corporation. TUNIS (Reuters) – Tunisia’s dinar currency has fallen to record lows versus the euro and the U.S. dollar this week as weaker exports, lower investment and a plunge in tourism revenues have eroded the country’s foreign reserves. The government was expected to announce new measures on Monday aimed at stabilizing the currency. 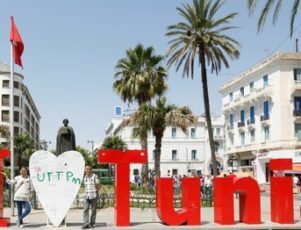 The North African state’s tourism industry has been shattered by two major Islamist militant attacks on foreign visitors last year. “The record drop in the value of the dinar is caused by lower exports and a lack of investment that have lowered foreign exchange reserves,” central bank director Chedli Ayari told reporters in parliament on Wednesday. 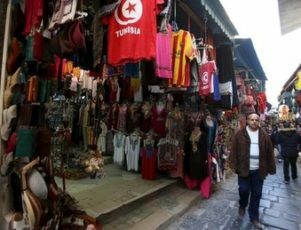 Tunisia’s government is currently trying to push through reforms and some austerity measures to curb its deficit, among the measures demanded by international lenders such as the International Monetary Fund and the World Bank. Due to political instability and terrorism, Tunisia has been struggling economically. Could exports be the solution? Tunisia’s economy had been in a fragile condition for many years. Still reeling from the global financial crisis, the Arab Spring uprisings left Tunisia and many other North African economies stagnant as a result of the regional instability. The problem was further compounded by risk adverse foreign investors, who came to view countries in the region as unattractive prospects. Then came the terrible terrorist incidents of 2015. The attacks were designed to undermine the Tunisian economy, and they were successful in doing so. The portents were dire for a country in which tourism accounted for 14.9% of GDP in 2014, whilst employing approximately 12% of the working population. A full-on financial crisis was fortuitously averted by the slump in global oil prices, combined with a good year for Tunisian exports of olive oil. Olive oil production on the European continent was hampered by a historically poor harvest in 2015. 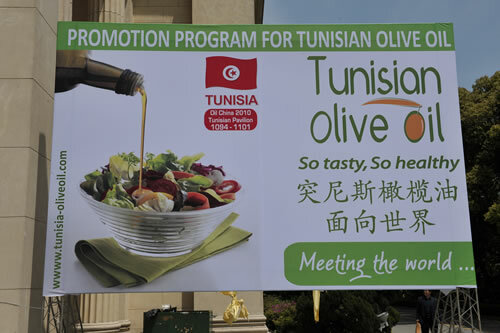 Yet Tunisia enjoyed record harvests, which enabled the beleaguered nation to quadruple its export revenues of olive oil from US$ 250 million in 2014 to in excess of US$ 1 billion in 2015. These factors have helped Tunisia narrowly avoid the fiscal brink; additionally they have illuminated a potential escape route from the economic wilderness. The boom of last year’s olive oil season has set events into motion, as Tunisia can ill afford to let such a success become a one-off. Fortunately the EU has realized this, and in an effort to assist Tunisia they doubled the country’s olive oil export quota back in September 2015. If high production can be maintained, Tunisia can become a perennial player in this area. However, in a microcosm that reflects the overall Tunisian economy, Tunisian olive oil products are exported in their most basic and least valuable form. Value and jobs can be added by exporting refined, branded bottles as opposed to the current situation: exporting raw olive oil that is refined and branded by Spanish or Italian firms. Transitioning to the exportation of more diversified and sophisticated products is something that would benefit other sectors within Tunisia. As an example Tunisia currently exports crude oil. However efforts are being made to finance and build the necessary facilities that will allow for the exportation of refined oil products. As with olive oil, this will create jobs and generate more revenue from the countries resources. However, if such targets are to be achieved, continued oversight will be needed. Due to government intervention, the Tunisian dinar has been overvalued for many years, subsequently hampering exportation as Tunisian goods have been comparatively expensive. 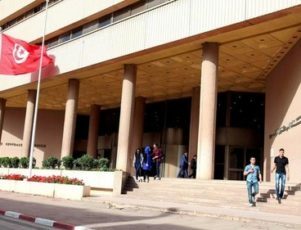 In an attempt to remedy the situation the Tunisian Central Bank has allowed the Dinar to depreciate in a controlled fashion. Despite this, the currency is still overvalued by as much as 15% according to some analysts. Further controlled depreciation is an ugly necessity, should Tunisia want its goods priced properly on the international market. This would serve as the catalyst to stimulate Tunisian exports and help reduce the trade deficit (US$ 6.6 billion). The painful fallout from this policy is that for ordinary citizens their savings have lost value and their buying power has been reduced. The government finds itself in a precarious, high stakes situation: risk social unrest by allowing the currency to slide further, or hamstring the export-led recovery by giving in to public pressure. Additionally, Tunisia has a major problem with illegal cross border imports and exports, a legacy from the Zine El Abidine Ben Ali regime. These activities undermine the country’s legitimate export enterprises, discourage foreign investors and deprive the state of taxable revenues. Whilst the current government has taken some steps to eradicate these practices, more must be done to legitimize all cross border trade. If managed correctly, the export industry can be used as a major weapon in the Tunisian economic recovery. The benefits are numerous: exports can generate much needed revenue for the nation, tackle high unemployment, rebalance the trade deficit, generate new industries and encourage long-absent foreign investment in the country. LONDON (Reuters) – Carlyle Group on Monday announced an investment in Tunisia-focused oil and gas explorer Mazarine Energy which will also receive $500 million to make bolt-on acquisitions in Europe and North Africa. The deal is the first investment in over a year for Carlyle International Energy Partners, the private equity firm’s overseas oil and gas investment fund, which has more than $2.5 billion at its disposal, CIEP head Marcel van Poecke said. The size of the investment in Mazarine was not disclosed. Private equity funds including Carlyle, Riverstone and CVC Partners have built up significant firepower in recent years to invest in the oil and gas sector which has struggled following the collapse in oil prices since mid-2014. “I think we will see more deals this year. Very slowly the M&A (merger and acquisition) space is starting to pick up,” van Poecke told Reuters. Mazarine will seek investments in “low cost, low-risk opportunities” in onshore exploration and production assets, Chairman and founder Edward van Kersbergen told Reuters. The company will focus on onshore fields in Romania, where CIEP acquired assets in March 2015 from Sterling Resources, as well as North Africa. “We want resources that we can develop in a relatively short space of time at a low technical cost,” van Kersbergen said. 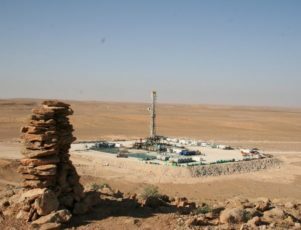 In Tunisia, Mazarine expects to start production of 1,500 to 2,000 barrels per day next year, according to van Kersbergen. CIEP has in recent years created two companies to invest in assets in the North Sea and the Indian subcontinent. Neptune, the North Sea vehicle set up by CIEP and CVC Partners a year ago which is headed by former Centrica boss Sam Laidlaw, was expected to make an investment over the next 12 months, van Poecke said. The EU has granted Tunisia a 2 year tax break on the import of olive oil; now it is down to the country to make it a top seller. Producers of olives and olive oil since Roman times, Tunisia has stuck to a tried and tested method of harvesting this ancient fruit. 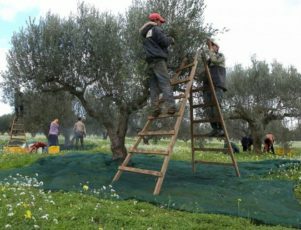 Due to relatively cheap labor still on offer in the country, the olives benefit from being gathered using a technique of gentle sweeping with small rakes by a mostly female workforce. Said to help retain the flavor of the olives and cause less damage to the trees, handpicking prevails over the commonly adopted method of machine harvesting in Europe. In order to distinguish themselves on the global market, maintaining the best flavor from their olives and being able to confidently ensure a pure product is paramount. “We can say that our bottled oil is 100% Tunisian and that counts for a lot in specialty shops. This is something Italy cannot always guarantee,” said Lemia Thabet, Executive Director of the Tunisian Technical Packaging Centre. Tunisia is the biggest producer of olive oil outside of Europe, yet for such a prolific producer the northernmost country in Africa has up until now remained decidedly in the shadows of its European counterparts. It has settled instead for selling off large quantities of oil to rival countries such as Spain, the biggest producer in Europe, and to Italy, commonly thought of as the home of olive oil. The wholesale olive oil is then mixed with the local kind, by way of improving on what will become the big brands we are all familiar with. In this way the “liquid gold” Tunisia produces is generating far less money than if they had the means to bottle, package and label the product on their own. Accounting for over 10 percent of Tunisia’s exports and providing a livelihood for hundreds of thousands of people, it is unquestionable that the olive oil trade is of major importance to the country, coming second to tourism. However, after the devastating effects of 2015’s Bardo Museum terrorist attacks and the Sousse beach massacre, what once was the nation’s linchpin, generating 15 percent of the country’s GDP in 2014, is now a sector worryingly in decline. The tax break may come as a temporary relief but other obstacles still lie in the paths of the country’s producers. To truly make a success of this opportunity they first need to contend with a market that is very much geared towards promoting Spanish and Italian olive oil as superior. Also for the most profit to be made the entire production process would have to take place on home turf. “We buy almost all our bottles and stoppers from Italy and that pushes up the price, we should be making our own,” said expert Mounir Ouhrani of Slama Huiles. While there may be some hurdles along the way, Tunisia can rest assured on the product they have to offer. A country that is covered with 1.7 million hectares of olive trees, almost 20 percent of the olive tree orchards worldwide, they are no small fry. The uniqueness of the olive oil they produce is remarked upon internationally; a particularly rich flavor that due to its high fat content is able to withstand high temperatures while still maintaining its notable nuttiness. Pair this with the traditional way in which the olives are harvested and you have two solid reasons why the North African country could make a successful breakthrough onto the global olive oil market. Given the chance and an audience who are willing to look beyond the norm, olive oil could soon be Tunisia’s number one industry.